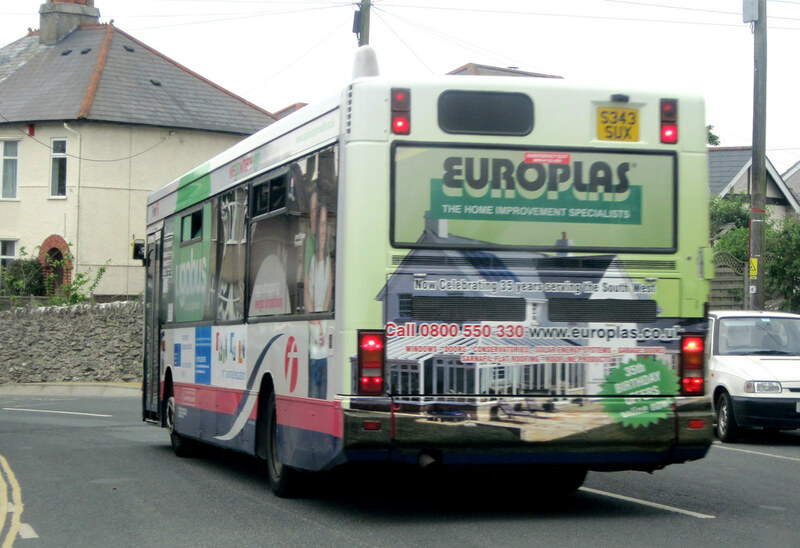 Thanks to John I can bring you a photo of the latest rear advert carried on a Ugobus Dart. As far as I am aware its the first such advert carried on the Ugo branding. The advert does actually blend in quite well with the Ugo colours! Of course Ugo does have the advantage of covering a few routes so it should be easier to manage than route specific branding but most First Group fleets seem to be de branding their various 'lines' at the moment.